Peppermint tea has a wonderful place in my heart and memory. On hot Chicago days I would sit in the yard of Rev. Jesse L. Jackson and Ms. J as I call her (Jacqueline) would pick peppermint leaves from her yard and make us a wonderful iced tea. I think I was in equal awe of the taste of this delight as much as I was by Ms. J traveling across the country campaigning for her husband to be president of the United States but yet had time to grow peppermint. She is amazing! I so enjoyed those days sipping peppermint tea and soaking up Ms. J's wisdom and knowledge. Over the years it seems that each time I drink peppermint tea, my heart goes back to those days when I was young, vibrant, and HIV free. But those days are long gone. 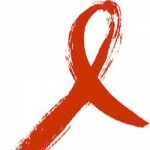 These days I'm dealing with the daily struggle of living with AIDS. And with this comes a ton of medication and side effects. #ForReal. About two years ago I started a medication, Isentress, the very week it was approved by the FDA. I didn't really care about the side effects because taking it meant that I would be free of Fuzion, the HIV medication I injected in my stomach twice a day. Anything was better than that drama. I cried every time I injected myself. Well, let me tell you, it's been one uphill journey with this switch. The medication is working just great so there is no point in changing. I just gotta cope regardless. But honestly, I was fed up with the intense headaches that Isentress cause, and equally fed up with popping pain medication every day in addition to already taking 15 pills. 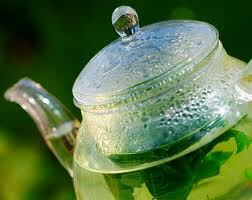 So, while writing my tea blogs, I've been in search of teas that have wonderful health benefits. One of my tea partners, The Persimmon Tree Tea Company, is very health conscious with their teas. They had seen my tweets about my headaches so when I received a package of teas from them to review, to my surprise, they had added two teas to help with my headaches. I gotta tell ya, these two teas, Mint Medley and Amore, are very different but equally wonderful. When I opened the tin of Mint Medley it sent me instantly back to those days in Ms. J's backyard. The aroma of this perfect blend of organic spearmint and peppermint, made from dried leaves of those plants, made me feel as if I was surrounded in a garden of peppermint leaves. 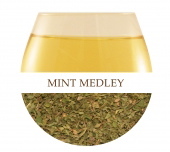 The strong aroma is equally matched by the smooth but strong mint taste. Until now I had never experienced a blend of mints. There is something to be said about mixing the two different mint flavors. I can't quite put my finger on it, but they seem to go together just like strawberries and bananas. Alone they are equally great, but together they are sublime. Now Amore is different in so many ways, but it shares the same aroma power as Mint Medley. 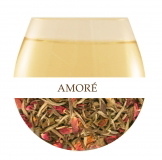 Amore is an organic white tea, blended with rose, peppermint and other botanicals, but you clearly know that it has the power of peppermint when you open the tin. The rose and botanicals soften the tea like a flower garden in the middle of a park dominated by green grass. 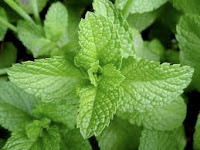 While you can clearly taste the peppermint, the softness in the smell is also in the taste. I loved them both! Now did they help my headaches? Yes, they did! Not only did they help reduce the pain in my head, but they also helped me to relax. The benefit that I hadn't counted on was my tummy. You all know the ongoing GI issues I've been having. Well, the peppermint seems to have a calming effect on my nausea. Basically, the peppermint soothes the inflammation in the digestive tract which decreases nausea and vomiting. 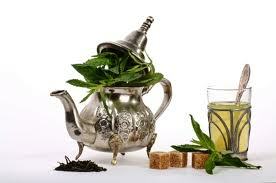 Overall I give these peppermint teas two tea cups up! In addition to helping headaches, including migraines, they are rich in Vitamin B which boosts the immune system. This would be a perfect choice for a cold and/or the flu. Additionally, it is said to reduce muscle pain, which means ladies, it is GREAT for menstrual cramps. And let's not forget, Amore is a white tea, so it is also good for depression. Peppermint tea is a winner! And The Persimmon Tree Tea Company has two wonderful blends that are now a staple in my tea cabinet.